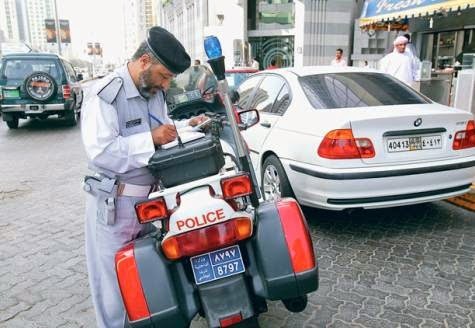 If you have not paid your traffic fines, your UAE residence visa will not be renewed. This is the effect of a new visa rule which however was created before some months. But it was now officially declared by the Ministry of Interior on Monday. Brigadier General Dr Rashid Sultan Al Kidhr - Deputy Director-General for the Legal Council at the Ministry of Interior for Immigration, Residency and Ports Affairs, said in a message that those individuals who may have not paid their traffic violation fines will not be able to renew their residence visa. “Clear your traffic fines first and then come for the renewal of residence permit,” Dr Al Kidhr said. Residents say that the rule, even though officially announced only on Monday, has been around place for several months. Dr Al Kidhr said that the traffic violation payment is currently linked with the immigration department at the federal government level: “If you have traffic violation fines, you will not be able to renew your UAE visa or benefit from any other immigration-related transactions,” he described. He further declared that all the concerned departments have been informed about the new rules and asked to upgrade their data system. An official at the ministry stated that the laws and regulations may added to include bank defaulters, specifically credit card holders who actually have never settled their debts. Dr Al Kidhr said the ministry was looking at expanding the recovery of fines to all types of immigration and other government transactions. “Recovery of fines will be included to every government departments. The traffic rule violation fine recovery is the just beginning. No one will be spared,” he described.